View job-level data to understand your strategy's effectiveness and efficiency. View data from all your jobs and sources in a single, centralized dashboard. Smart attribution gives credit where it's due, so you can make the right decisions. Access the information you need to make strategic, data-driven decisions. 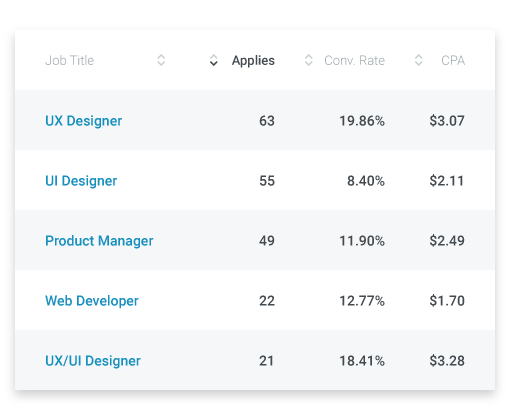 Understand how your job ads are performing with the most up-to-date data so you can make optimizations quickly and efficiently. Access your data from all of your vendors using our comprehensive attribution algorithm, so you have one source of truth. View all of your job and source data in a single, easy-to-use dashboard with reports that clearly show the performance of your jobs. Obtain the information you need to make important budget decisions and campaign optimizations for an optimized recruitment marketing strategy. Combine your job advertising performance with data from your applicant tracking system to better understand the true source and cost of acquiring top candidates. 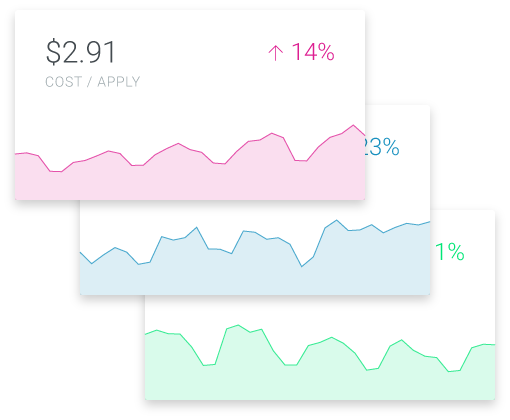 Is Free Analytics (beta) really free? Yes, it is! It may not be free forever, but right now while we're in beta we are giving away our award-winning analytics platform with full source tracking and reporting for conversions (applies) on your career site. The free and paid versions of Analytics each use our comprehensive attribution algorithm and big data back-end systems to deliver accurate job and job-ad performance data to your Analytics dashboard in real time. Do I need to be ‘technical’ to use Recruitics Analytics? No! 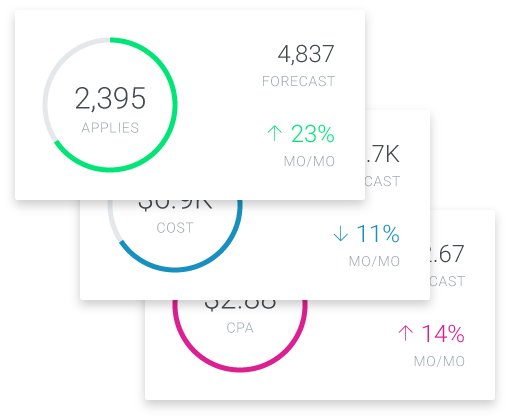 We’ve worked hard to make it easy to use Recruitics Analytics to find the information you need to make well-informed marketing decisions. If you run into any difficulties, our Customer Success team and our self-help center are there to answer your questions and help you get the most out of Recruitics Analytics. Can I track when a recruiter sources a candidate from a resume database? We’re currently working on adding this capability. Please contact us for more information. Our product managers would love to learn more about how you’d like to track this data. Can I only buy Analytics without Agency or Action? 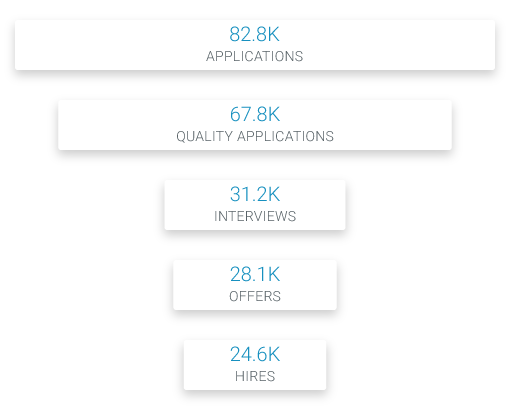 Our free version of Recruitics Analytics is available to selected clients with a career site while in beta. Analytics Pro currently requires the purchase of Recruitics Action and/or Agency Services. Can I view these reports within my ATS? Recruitics Analytics is a purpose-built analytics dashboard with all the reporting and drill-down capabilities you need to analyze and take action on your job advertising performance. We do not currently support the export of Analytics data to Applicant Tracking Systems in our standard product offerings, but custom data export solutions are available. Please contact us to learn more. How do you attach cost to non-PPC media? We have developed a number of cost attribution algorithms that operate on principles consistent with the media purchased. Our Action and Agency customers have access to all of our various media tracking capabilities. Please contact us for more information. Recruitics Analytics’ tracking typically requires you to install a single line of code on your career site and provide us with a job feed. Our dedicated Customer Success team will help you every step of the way. For more complex installations, our Technical Integrations experts are on call to make sure your on-boarding is easy and convenient. Is Recruitics Analytics similar to Google Analytics for the recruitment space? Yes! With Recruitics Analytics you can track everything you can with Google Analytics and more, and Recruitics Analytics is purpose-made for recruitment marketers and talent acquisition professionals. We make it easy to understand and optimize your job advertising strategies. How do you track candidates that apply to job X and are hired for job Y? Recruitics End-to-End Analytics automatically recognizes when a candidate is moved from one requisition to another and hired, and our attribution algorithms attribute these hires to the original source of the candidate. Can you track my Craigslist posts? Yes! Recruitics Analytics can track any source of traffic to your career site that you can add a simple url tag to. Tagging instructions are provided to every Recruitics Analytics customer. How is this different from what I get from my ATS? Recruitics Analytics provides industry-leading candidate traffic source attribution for free - in other words, we make sure credit is given where it’s due, so you can make well-informed advertising decisions. Applicant tracking systems typically only track the inbound (referring) url of candidates, which is often misleading when you’re trying to determine the ROI of a campaign or traffic source. Once we collect the data, do I need to analyze performance? If you’d like Recruitics to do the heavy lifting of analysis and optimization for you, please ask us about our full agency services. Please contact us for more information.